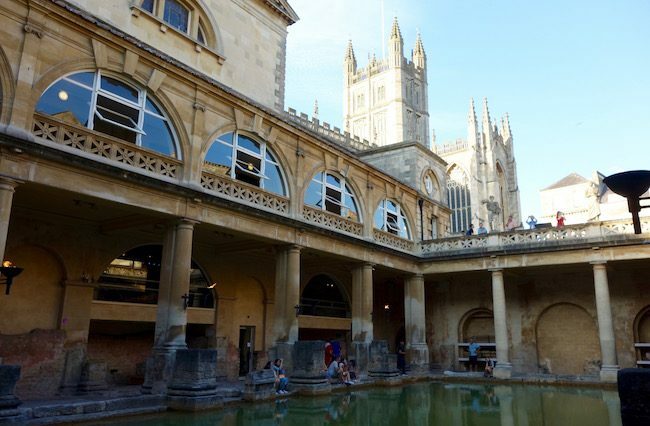 Visiting the Roman Baths in Bath, England, is the highlight of visiting this beautiful town in Somerset. It’s an easy day trip from London and here’s everything you need to know. It’s all I can do to stop myself from hurling myself into the brilliant green water. The Great Bath, the centrepiece of the Roman Baths in Bath, is one of the most astonishing pieces of history I’ve ever blinked at. It’s the emerald of Europe’s spa towns indeed, and no matter how many times I visit, it’s always the same. I want to glide into the water like the goddess Sulis Minerva herself. It would be like swimming in a jewel. Sitting on an aged worn step just above the Great Bath, my fingers hovering dangerously close to the water, I remind myself the water is only translucent emerald because of algae, that the Great Bath was closed for swimming in 1978 after a teenage girl contracted meningitis from an amoeba in the water and that most importantly, if I went in I’d be barred from visiting the Romans Baths in Bath, England, forever. And that would never do. I lean back against a pillar and try to imagine the baths as they were in Roman times, when the town of Bath was called Aquae Sullis and the Great Bath part of a cavernous hall 40 metres (130 feet) tall. Today the Great Bath is open to the skies and possibly even more eye-catching than it was in 200 AD. Weathered pillars surround the rectangular pool, the water is still steaming hot, freshly sourced from England’s only hot springs, and the open-air terrace above is ringed with statues of Roman emperors and statesmen, Victorian additions carved in 1894. Two layers of history, so many centuries apart. The Roman Baths are more than a pretty pool. They’re a museum, temple and heritage site all wrapped up into one. Travel tips for visiting the Roman Baths: It takes at least two hours to explore. Pick up a free audioguide in the Victorian-era entrance hall just off the Abbey Courtyard. 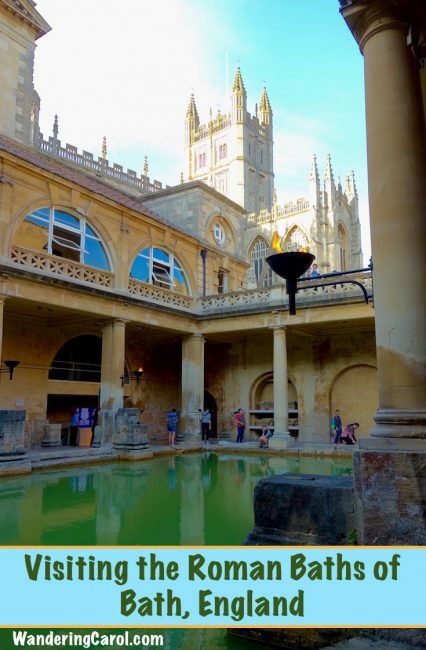 The Roman Baths are a vast bathing complex built over the source of Bath’s hot springs. Constructed in the 1st century AD, and extended over the next couple of centuries, this makes them 2,000 years old. It bends my brain just to think about it. Even before the Romans built on the site the steaming springs were revered by the Celts who worshiped the goddess Sulis here. 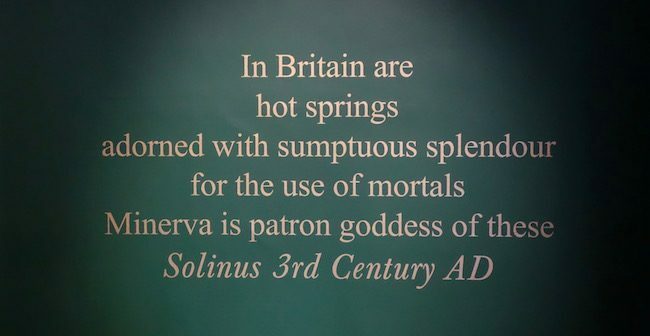 The savvy Romans, who knew how to get along with people once they’d brutally conquered them, merged the Celtic goddess Sulis with their own Roman goddess of healing, Minerva, and built a temple to the newly-created Sulis Minerva next to the springs. A brilliant bit of diplomacy, don’t you think? 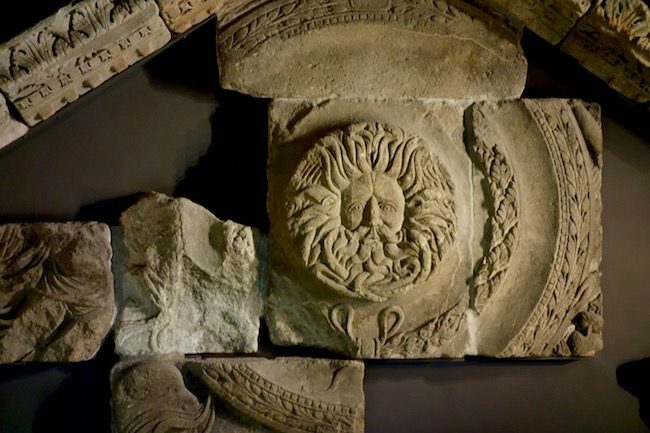 The Gorgon is a surviving and very scary relic from the frieze (that’s the top front bit) of the Temple of Sulis Minerva. Though there is much debate, it’s generally believed to be the head of a Gorgon, a fearsome-looking symbol with snakes for hair. The Gorgon is associated with Minerva (though how the Goddess of Healing ended up with a moustache and a face that looks like the cowardly lion from the Wizard of Oz is beyond me). Nonetheless it’s very striking and rare and there is a good spot here to sit down and watch a little film. 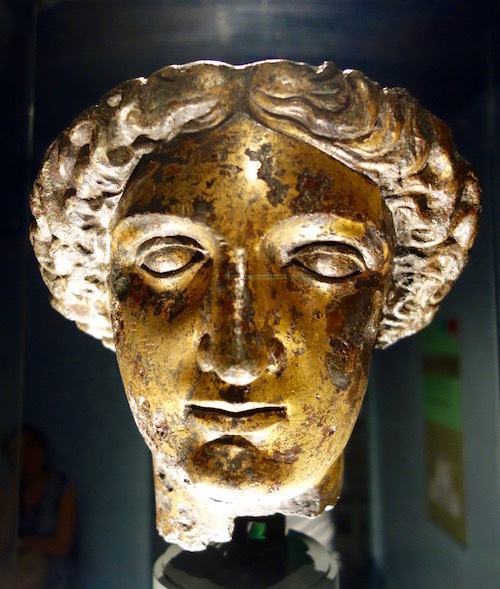 Deep in the underground section of the Baths you’ll come to the gilt bronze head of the Goddess Sulis Minerva. This is one of the major finds in all of Roman Britain. It was once part of a statue in the temple, and if you’re listening to your audioguide, you can listen to Bill Bryson saying she’s not the type of head he’d want to have a beer with. Well. Of course not. If you were going to drink with Sulis Minerva you’d have champagne, or at the very least a healing glass of mineral water. In Minerva’s defence I’d like to say that Bill Bryson doesn’t have the type of face I’d like to have a beer with, but this would be a lie because of course it is. He’s one of the funniest writers I know. Minerva – wouldn’t you want to share a drink? It’s easy to glorify the ancient Romans and think they all went around carving statues, crafting delicate mosaics and conquering kingdoms, but it’s nice to learn they could be just as petty as we are. Reading the curse tablets displayed in the museum section of the Roman Baths is one of the best insights into the Roman psyche you can possibly find, mainly because it shows them on such a human level. And what I mean by ‘human’ is grumpy, thieving and vengeful. The curses were messages inscribed on thin sheets of lead or pewter, rolled up and thrown into the Sacred Spring, where the spirit of Sulis Minerva was believed (and is still believed in my heart) to live. What do the curse tablets say? Bathers in Bath take note: Many of these stolen objects were taken while the Romans were bathing so let this act as a reminder: If you want to soak in the baths over at the Thermae Bath Spa across the street, where you really can go into the water unlike in the Great Bath, be sure to store your valuables in a locker. Next to the Great Bath is a smaller room housing the Sacred Spring. Take a minute to stop and breathe it all in. 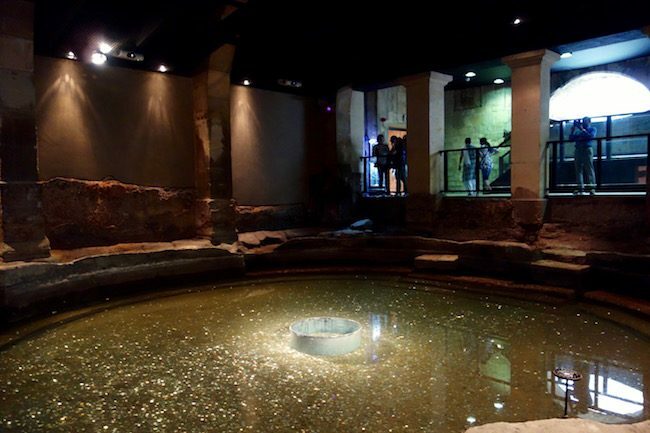 This was the spiritual heart of the Roman Baths, a place of reverence back in a time when there were no explanations for the existence of hot springs other than that they were created by gods. The Great Bath might be the looker, but the Sacred Spring is the spot that packs the spiritual punch. How are Bath’s hot springs created? Today there are very logical explanations about the rain falling onto the Mendip Hills and travelling deep through limestone on an 8,000 year-old journey during which the water is heated geothermally, but in my soul of souls I still believe that hot springs are created by gods. Go ahead, prove me wrong. You can’t right? I rest my case. 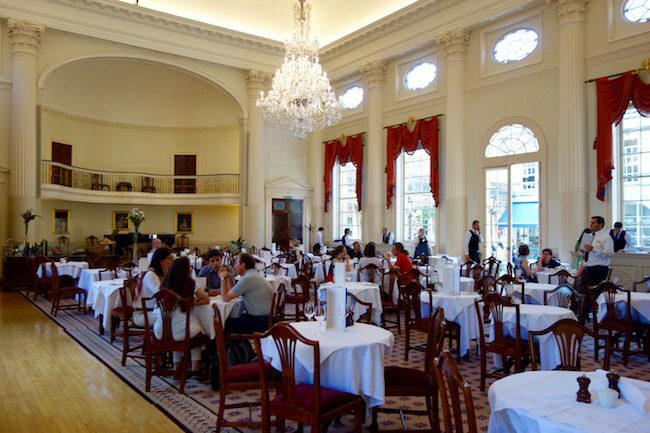 The final stop on your visit to the Roman Baths should be the elegant Pump Room, which dates back to 1706. This is where the Georgians, who were Bath fanatics, came to drink the healing mineral water. Today you can do the same. Wait at the counter by the fountain. Someone will eventually come along and pour you a glass. You may not relish the taste of the hot spring water (it’s an acquired taste, and tastes a bit like soup where someone forgot to put in meat, vegetables and anything else), but look at it this way: You’re not just drinking from the springs, you’re raising a glass to the Goddess Sulis Minerva herself. Where are the Baths located? If you’re visiting the Roman Baths of Bath you’ll be pleased to know they’re central and less than a 10-minute walk from the train station. The entrance is in Abbey Church Yard. Make sure you pick up the audio guide that comes free with your entrance ticket. You can also join a free tour that leaves hourly. When are they open? The Roman Baths are open every day of the year except Christmas and Boxing Day. 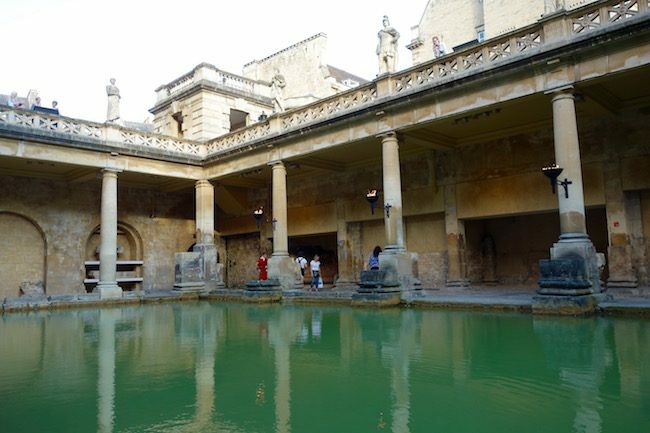 They’re usually open until 6 p.m. except in July and August when they’re open until 10 p.m. – and seeing the Great Bath by torchlight is highly recommended. Opening hours are either 9 a.m. to 9:30 a.m. depending on the season. Travel tip: The Baths can get very crowded so visit as early or as late in the day as possible. Ticket prices range. Adults are £15, Seniors and students £13.25, Children £9.50 and Family £44. Torchlit Visit and Dinner Packages are available at certain times of the year for £39. 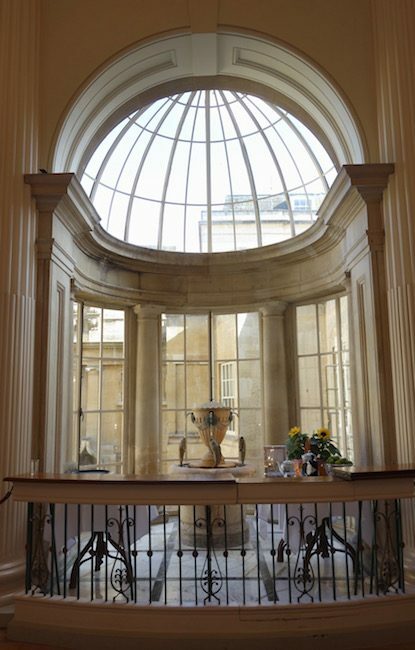 It would be hard to go wrong with the Spas Ancient & Modern Package that includes Roman Baths Entrance, entrance to the Thermae Bath Spa so you can soak like a Roman, and either a 3-course lunch or champagne afternoon tea at the Pump Room. Since these are, in my humble opinion, the 3 top activities in Bath, it’s a worthwhile way of spending a day in Bath. Prices are £79 weekdays and £82 on weekends. Easy peasy. Bath by bus: National Express buses leave from Victoria Station, Gatwick and Heathrow. By train: High speed trains leave from Paddington to Bath Spa Station. Cheaper (slower) trains leave from London’s Waterloo Station. Where to stay – check out my Bath hotel article. 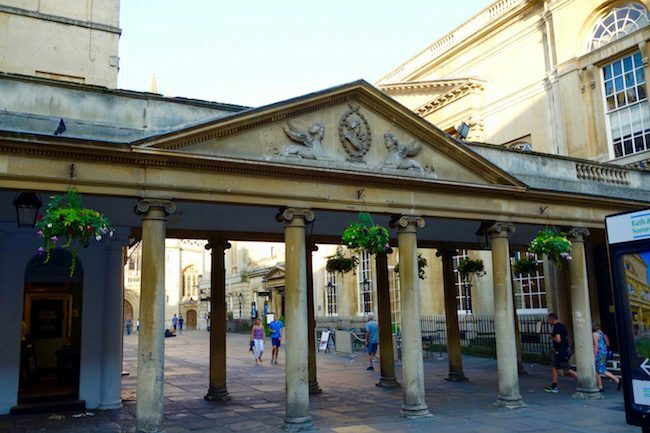 What to do – Follow in the footsteps of Jane Austen in Bath. 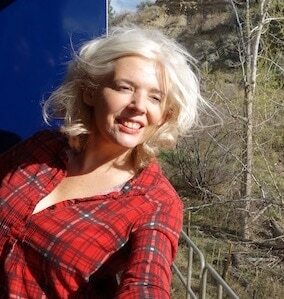 Travelling on? For more travel ideas visit Where to go in England. 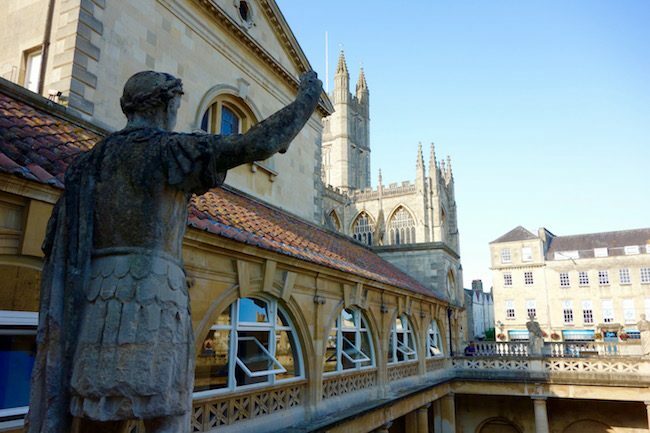 Travel Resources: For more information on visiting the Roman Baths in Bath visit the Roman Bath website. For information on Bath itself go to the Visit Bath website. 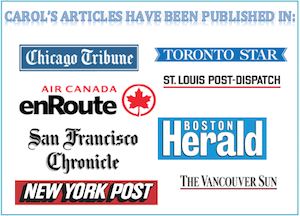 For information on Britain see Visit Britain. 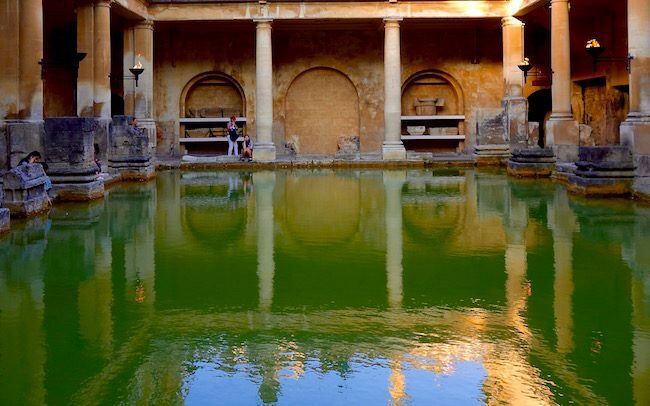 Not been to Bath – yet… That algae-green water, so inviting, so dangerous… But Bath looks like a great daytrip from London, as you say :-). Drinking the water is one of my favourite parts of the ‘taking the waters’ experience, Luxe. But not for everyone. I’m a huge fan of various hot springs baths in Germany, Le Anna. And so were the Romans. Hello, Baden-Baden! There is so much to do in Bath, Dana. Glad your children enjoyed touring the ancient Roman site. I was just there! The Roman Baths was our favorite activity in Bath. It’s a great city and I didn’t spend nearly enough time there. Even the kids enjoyed touring the Baths and learning the history. Wow! I would definitely want to visit it someday. I like it when it says “for the use of mortals” Ha Ha Ha. Living in Germany, I love going to the baths here. Granted, I can actually get IN them! lol. What a fun, historical visit though for these Baths. Hmm…I don’t know about drinking the water. I think I’d pass on that part, but I am looking forward to visiting Bath when we move to England next Fall. I’d love to visit the baths. It’s such an interesting piece of culture that stands out from what we do today. Mind you I have a bath house that just opened in town. Maybe for now I’ll just have give that one a try. I’ve done a lot of trips like that, too, Erika. We’ll call it faded memory travel. My please, ETLR – Grandeur is a good word to describe it. There is so much to see at the Roman Baths, Samantha. It never gets old … except it’s really old. I know, right, Tamara? Luckily with the Thermae Bath Spa nearby you can. Thanks, Rob. So next trip you go to Bath and I’ll go to Cheltenham. Perfect! Great post Carol. I am really disappointed that we didn’t get a chance to visit Bath when we were in England a few months ago. We were up in Cheltenham but were unable to make it down to to see the Roman Baths. After reading your post and seeing your photos, when we head back to Europe early 2017, we are definitely going to go back to that region and spend some time in Bath. Oh man, what a tease! You’re right, it would be hard to see that steaming water and not want to go for a dip. Ahh this is something I’ve been wanting to try for forever! I didn’t know there was so much more to the baths than just them. I’d LOVE to check out the museum. There’s so much to do on a visit to the Roman Baths.I am intrigued by the Curse tablets and the sacred spring.Looking at all the pictures of the grandeur of the complex with all the columns and statues. Definitely adding it to my bucket list.Thanks for the tips as well.